Charles “Charlie” Hellman, W2RP, of Hastings on Hudson, New York, died on January 25. 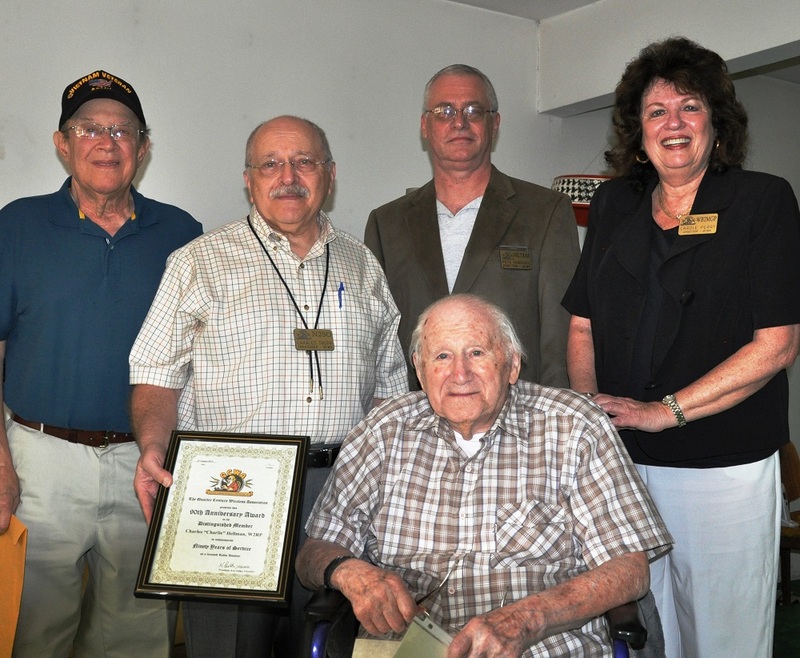 He was 106 and may have not only been the oldest surviving radio amateur in the US but, at 92 years, also may have been the longest licensed. By 8 days, Hellman outlived Harry Wolf, W6NKT, of Morro Bay, California, who had been considered the oldest US ham when he died on January 17, just a couple of weeks shy of his 108th birthday. In 2015, the Quarter Century Wireless Association (QCWA) honored Hellman with a “90 Year Continuous Licensed Certificate Award” (No 1). At the time, the QCWA had thought Hellman was the oldest living radio amateur, but announcement of his QCWA honor served to flush out Wolf, who, while not licensed as long as Hellman, was 1 year older. No formal records are kept regarding the oldest or youngest US hams. Hellman joined QCWA in 1975 and was a member of QCWA Chapter 181 in New York’s Hudson Valley. He had been regularly active on the air until a few years before his death, when his backyard tower fell victim to Hurricane Sandy. First licensed as W2AMK in 1925 when he was 15, Hellman, who had been an ARRL member, went on to become an educator. After working his way through the City College of New York, he taught physics on the secondary level. During World War II, Hellman was tapped by the Department of War to write a textbook for training radio operators, Elements of Radio. Two of Hellman’s siblings also held ham tickets. His brother Robert, now deceased, was W2JAN. His brother Benjamin, 96, is W2VB.